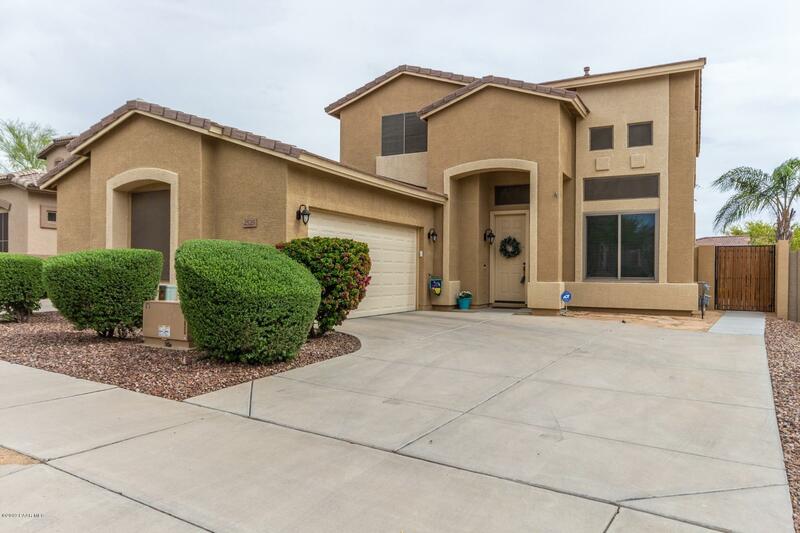 "Gorgeous home in the desirable Tramonto neighborhood. 3-bedrooms/2.5 baths & separate office/den. North/south facing home w/ a spacious entryway & large office/den. Home has 20' diagonal tile w/ a decorative stone border leading to an open concept kitchen w/ an island & walk-in pantry. 2 large bedrooms & master bedroom & bathroom w/ garden tub & walk-in shower. Custom one-of-a-kind backyard designed by Make-A-Wish. Artificial turf for easy maintenance & commercial grade awning provides shade for"